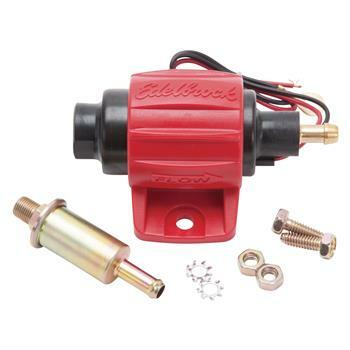 Edelbrock Universal Micro Electric Fuel Pumps deliver maximum performance in a compact package. They feature a durable simple design that reduces the chance of vapor lock and flooding. Edelbrock Universal Micro Electric Fuel Pumps are easy to install and operate quietly so you won’t know its there! Includes fuel pump, filter, mounting hardware and instructions for a hassle free installation. Available for gasoline and diesel applications.